John Christopher Robinson was born in Jefferson County, Kentucky, on May 5, 1970. He graduated from Shelby County High School before attending Transylvania University in Lexington, Kentucky. While attending Transylvania, he excelled in athletics, leading the varsity tennis team to national competition as the team’s first singles player and a member of the first doubles team. As a senior, he served as the vice president of Transylvania's Economics Honor Society and as an officer of the Kappa Alpha Fraternity. He graduated from Transylvania in 1993 and obtained a B.S. in economics. Robinson commenced his legal studies at the University of Kentucky College of Law in 1994. While a student, he clerked for the Kentucky Attorney General's Office as well as a private law firm in Bowling Green. Upon graduating with his Juris Doctor in May 1997, he initially moved to Indianapolis to work for the Deutsche Bank's American commercial finance unit. Robinson returned to Henderson, Kentucky, in 1998 to commence his private legal career. While working in Henderson and in Evansville, Ind., he defended more than 100 workers' compensation claims and medical malpractice actions. In doing so, Robinson developed considerable knowledge regarding personal injury claims practices employed by insurance carriers to diminish the value of personal injury claims. He attributes his recent success representing individuals who have been harmed by medical negligence and in automobile accidents to the skills he developed while representing insurance carriers and medical providers early in his career. In 2000, Robinson returned to Jefferson County, Kentucky, where he continued developing his litigation skills. As an associate of Landrum & Shouse, LLP, he litigated property damage and personal injury actions in more than 20 circuit courts throughout Kentucky. As an associate of Scott P. Zoppoth, PLLC, Robinson primarily litigated commercial disputes in state courts, but worked extensively in formal arbitration proceedings as well as matters litigated in federal tribunals. In 2001, Robinson began representing individuals in consumer bankruptcy cases. Since then, he has filed more than 750 cases for people seeking assistance under the U.S. Bankruptcy Code. Given his extensive experience litigating commercial disputes, Robinson is uniquely qualified to strongly represent clients against overzealous creditors when protections under the Bankruptcy Code may not prove to be sufficient. In 2005, Robinson returned to Shelby County, Kentucky, to serve as an assistant state's prosecutor and to open a private practice with County Attorney Hart Megibben. Since 2005, Robinson has distinguished himself as a prosecutor as he attained the highest DUI conviction rate of all 120 counties from 2004 to 2008. Robinson's private practice has continued to develop and expand since his return to Shelby County. In the last few years, he has resolved multiple wrongful death actions for families that have lost loved ones due to the negligence of others and worked to obtain a seven-figure structured settlement against a regional health care provider. In other cases, Robinson's clients have received settlements of more than $1.1 million and $750,000 for injuries sustained in automobile and motorcycle accidents, respectively. 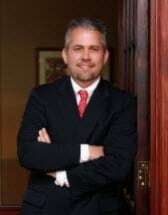 Robinson is currently licensed to practice law in Kentucky and Indiana, and he is certified to practice in U.S. District Court for Eastern and Western Districts of Kentucky as well as the Southern district of Indiana. He is also a member of the National Association of Consumer Bankruptcy Attorneys. Robinson is a 30-year member of Centenary United Methodist Church in Shelbyville and a father of two. Member, Centenary United Methodist Church in Shelbyville, Ky.